Another great example of a tweed Fender Champ. This one is serial number C-01232. 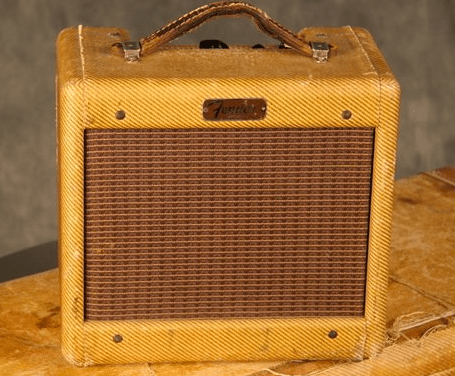 Dating this amp by the serial number tells us that it was made in early-ish 1956. The code on the tube chart is FA which points to a January 1956 manufacture date. The power cord has been replaced but everything else looks original.